Hello my lovely readers. I’m so sorry that this post has been delayed! I’m still trying to get into the groove of this semester and it’s got my schedule all out of whack. Seriously considering actually using my calendar function in my phone to start planning out my week which just hurts my spontaneous soul because I usually like to just fly by the seat of my pants most of the time. Anywho enough about all of that you’re here to see the GORGEOUS polishes that I have right here in my hot little hands. 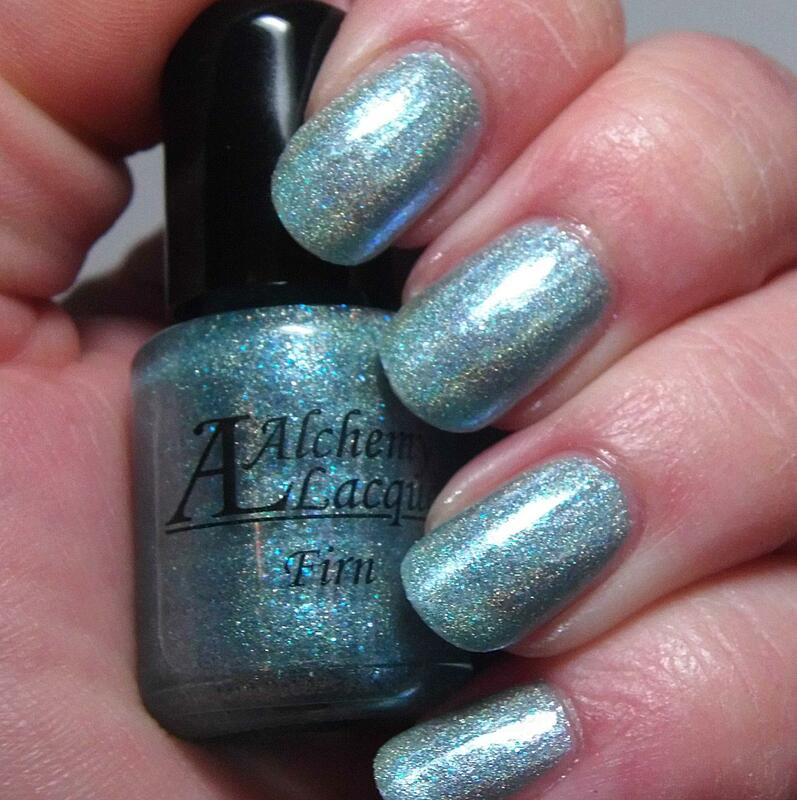 This is the rest of the Arctic Alchemy collection that I promised you! Thundersnow is a very slightly blue-leaning medium grey crelly base filled with blue microglitter, blue shimmer, and teensie tiny iridescent flakies. This is another one that goes right to the top of the list for me. It’s in my preferred color family and it’s just lovely! Absolutely nothing bad to say about this polish at all. The formula on it is perfection. These pictures show two perfect self-leveling coats to perfection. Now this one was a surprise to me! I have used this polish two more times in nail art since I swatched it and ya’ll know that this nail polish addict has a crapload of nail polish and multiple uses out of one polish just doesn’t happen all that often. 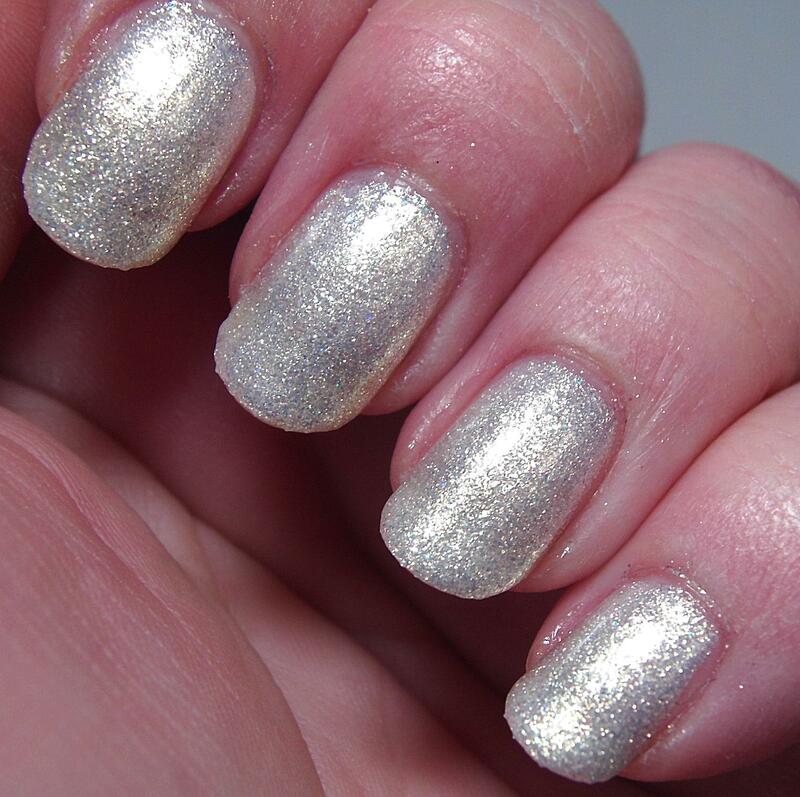 This is a silver subtle linear holographic polish with flakies and a touch of that gold-silver shifty pigment that is used in the gilded polishes. 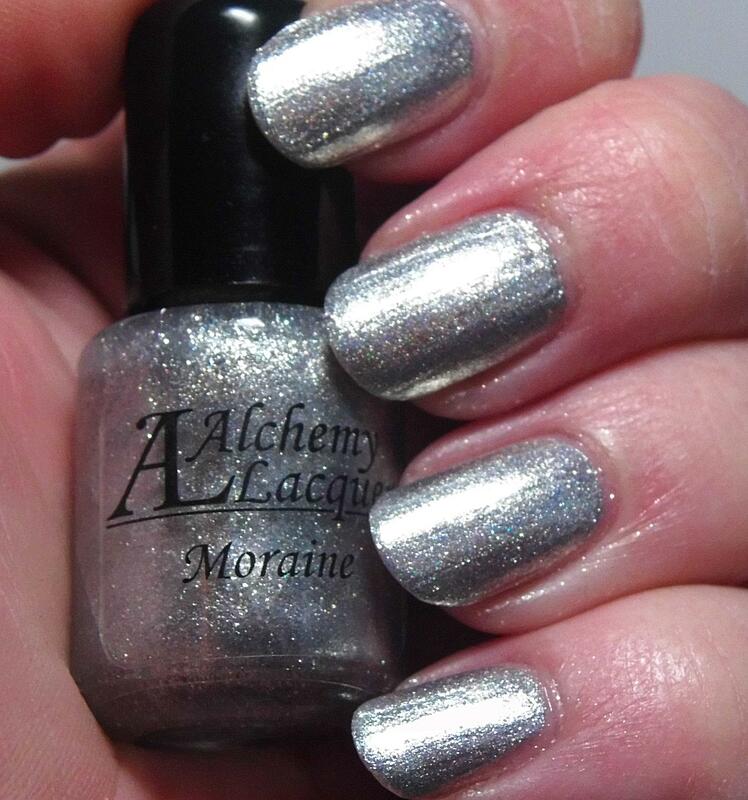 The result is a rich dimensional silver holographic polish that is anything but boring! 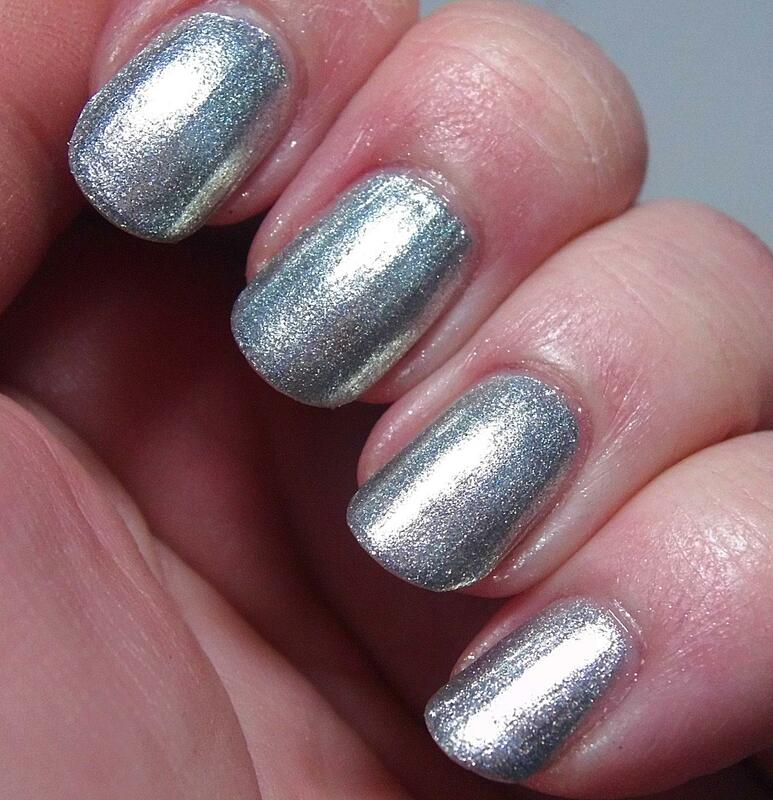 I tried unsuccessfully to capture the holographic arc in this one because it was kind of dreary when I swatched it. It is definitely there however and looks amazing in the sunlight! The formula on this was very easy to work with. Pictures show two coats plus topcoat and despite the fact that it has a metallic finish it doesn’t show brushstrokes which are the bane of my existence! I was utterly delighted with this one. Oh…Em…GEE! Everything about this polish makes me happy. It is stunning in every single way imaginable. 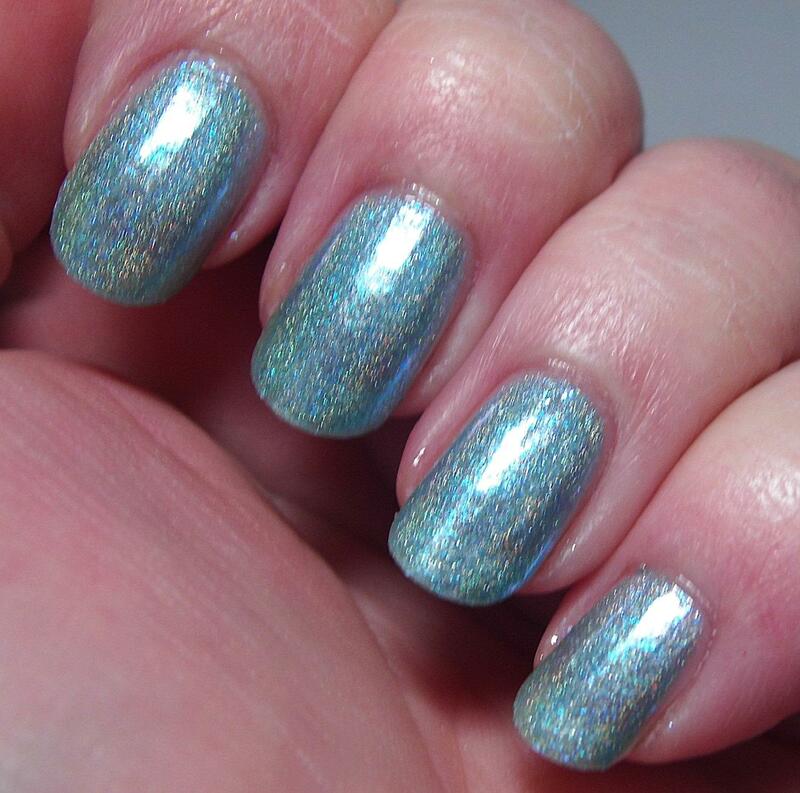 We have an icy aqua blue linear holo with blue microflakies. It’s a jelly base so it has a certain translucence that is just so lovely. I will reach for this one over and over. The holographic arc in this one is pretty strong as you can see some of it did come out to play in artificial light. 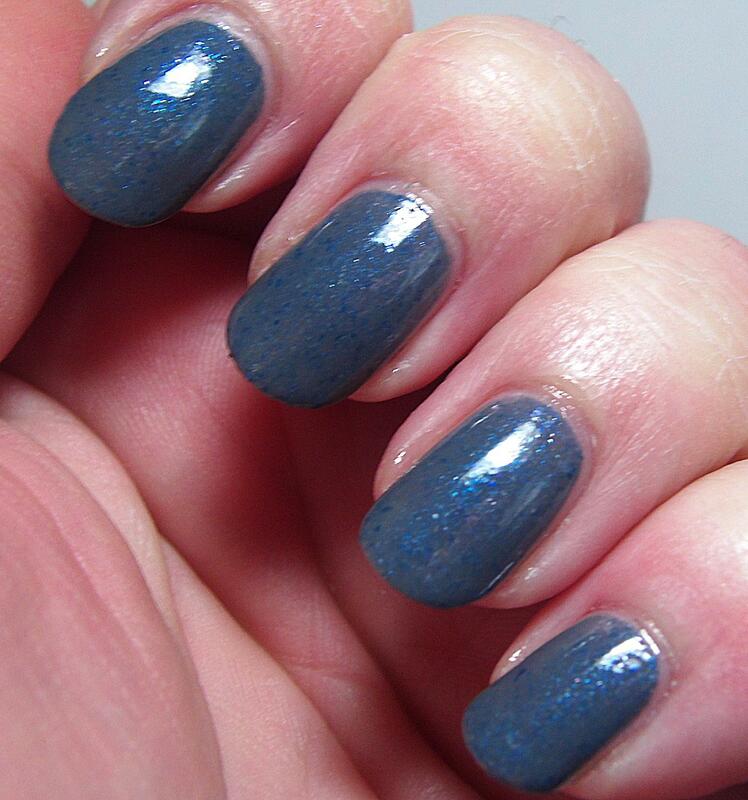 It has a jelly translucent base so it is sheer but the pictures show three coats. It’s VERY nearly opaque here and on shorter nails or someone with a less prominent nail line it would be completely opaque. For me personally because of the inspiration of the policy and the loveliness of it I didn’t mind the slightly sheer translucent quality at all in fact I rather enjoyed it! Last but not least is the Arctic Gilded offering for this collection. Gilded Icicles! How.gorgeous.is.that?! Seriously stunning! 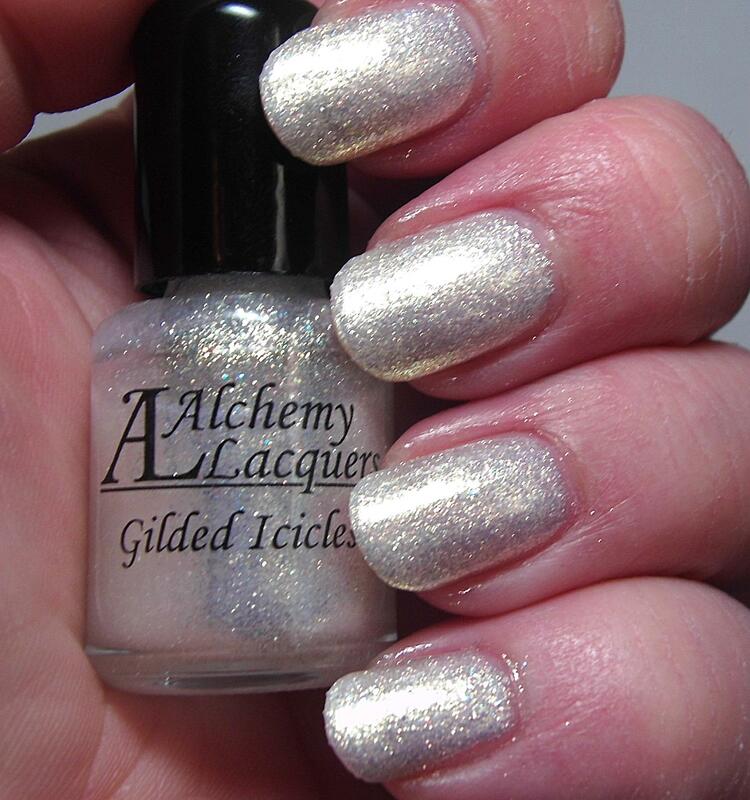 Gilded Icicles is a gilded white jelly polish. It is just the perfect wintery white polish ever. It has that characteristic gold/silver shift that just gives it so much depth. So this polish has a lot of shimmer and shine going on for it so it is a touch thicker in formula than the others. That does not make it unworkable or unmanageable at all it’s just the way it is. I’ve come to expect it from the Gilded polishes just because that seems to be the nature of the pigment that is in them. I have never had any trouble with them the thickness that they come. This shows two decent coats plust topcoat. Now these and some Valentine’s and Mardi Gras polishes are available RIGHT NOW in the Alchemy Lacquers’ Etsy Shoppe. You should definitely go pick up these and some of those too! 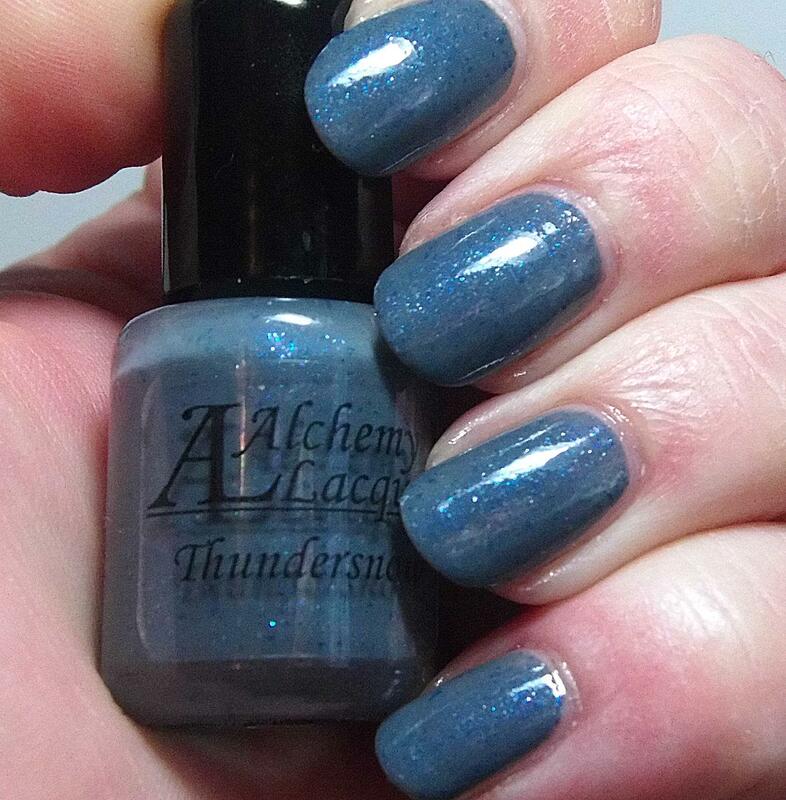 You can also follow Alchemy Lacquers on Facebook and Instagram to get pretty pictures, teaser photos, and all the restock news you could ever want! This entry was posted on February 1, 2015, in Alchemy Lacquers, Indie Polish, Seasonal.